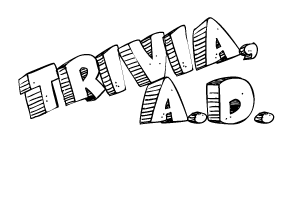 Test your knowledge against your fellow pub mates at these trivia quizzes…Cheers, Murph. 95 Pearl St./58 Stone St.
Each week features an “On This Day In History” round, a rapid-fire “Name Threes” round. 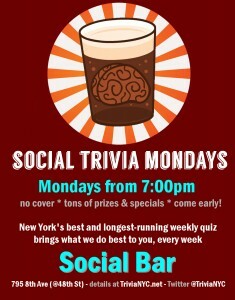 Prizes include books, theater tickets, and for the winners, $25 off your bar tab. 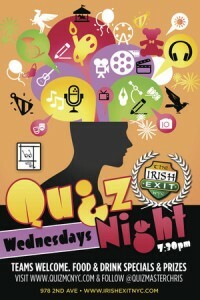 Brain Stormer Pub Quiz hosted by Brian. 8:30pm every Monday. First and third Mondays of every month. 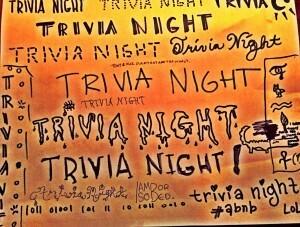 3 rounds of trivia. 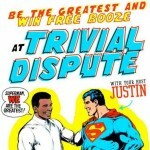 $10 off your tab for the winner of each round and an additional $20 off for the overall point winner. 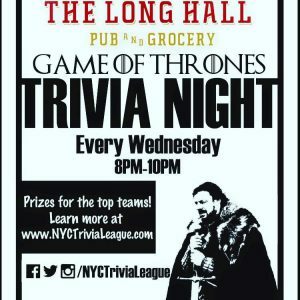 Game On Trivia: Live team trivia contest featuring fun general knowledge questions that will test your teams wits and fast recollection of TV and movies, music, literature, geography, sports and more. Free to play. 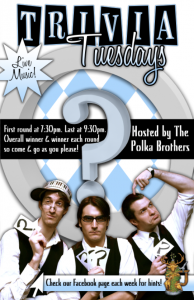 Each week features an “On This Day In History” round, a rapid-fire “Name Threes” round, and an audio round. 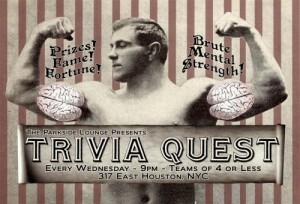 $1 off selected beers during the quiz. prizes each round in addition to overall winner. 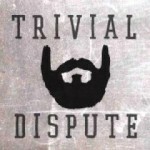 5 rounds of trivia on varying topics. Possible rounds have ranged from European history to cartoons that don’t wear pants. 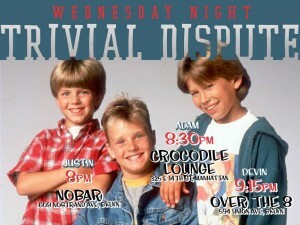 It is time to prove the worth of that overpaid education and win some free drinks. $50 gift certificate for first prize. 8:30pm. Mad River Bar & Grille: 1442 Third Ave. (bet. 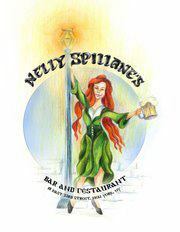 81st & 82nd St.) New York, NY (212) 988-1832. Triv at the Riv. 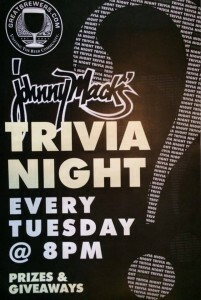 Live Trivia Tuesday. Drink specials. Prizes for the winners. 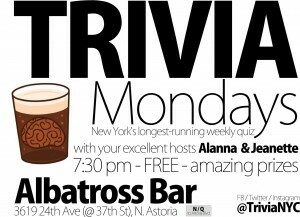 starts 8pm. 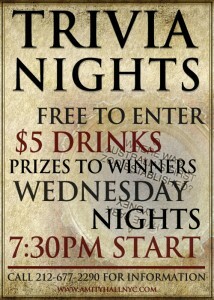 Win a $25 / $15 / $10 bar tab. Join a team or play on your own. 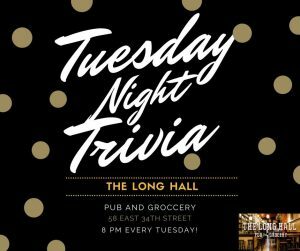 Game On Trivia: Live team trivia contest featuring fun general knowledge questions that will test your teams wits and fast recollection of TV and movies, music, literature, geography, sports and more. Show time specials – 2 for 1 Burgers, $3 draft Bud or Coors Light. 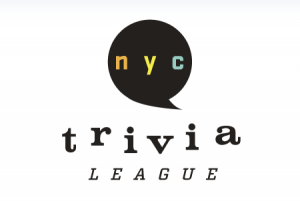 Game On Trivia: Live team trivia contest featuring fun general knowledge questions that will test your teams wits and fast recollection of TV and movies, music, literature, geography, sports and more. Free to play. $10 buckets of Coors, Coors Light, Bud, and Bud Light all night long. 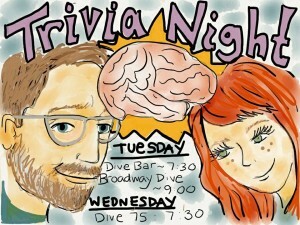 Trivia Night kicking off at 9pm. Drink specials and shots all night long. Free pizza with beer purchase. The Edge Bar: 95 E. 3rd St. (between 1st & 2nd Ave.) New York, NY (212) 477-2940. 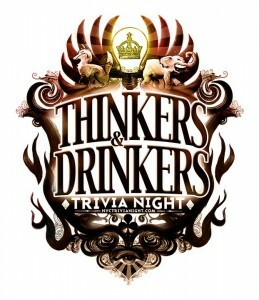 Thinkers & Drinkers Trivia Night. 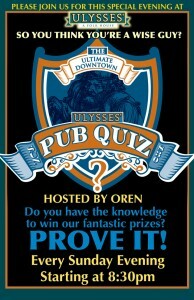 $50 gift certificate to the winning Quiz Night team. $6 specialty draft, $6 well drinks, $8 wine. Bar Nine: 807 9th Ave. (between 53rd & 54th St.) New York, NY (212) 227-6463. The Banshee Pub: 1373 First Ave. (bet. 73rd & 74th St.) New York, NY (212) 717-8177. Bar Thalia at Symphony Space: 2537 Broadway (enter on 95th St) New York, NY (646) 597-7340. Six rounds of twenty questions. 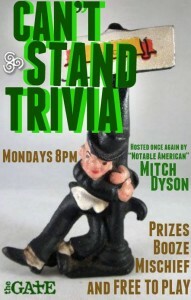 Prizes for top 3 finishers ($75, $50 & $15 bar tab). Percy’s Tavern: 210 Avenue A (at E. 13th St.), New York, NY. (212) 473-7770. Biddy’s Pub: 301 E. 91st St. (bet. 1st & 2nd Ave.) New York, NY (212) 534-4785. 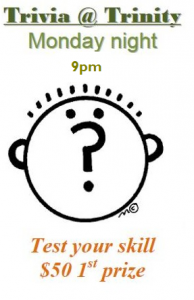 Let’s Get Quizzical! 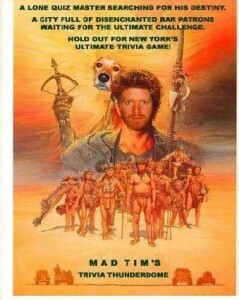 starting May 17th (and every other Thursday) 8:30pm.